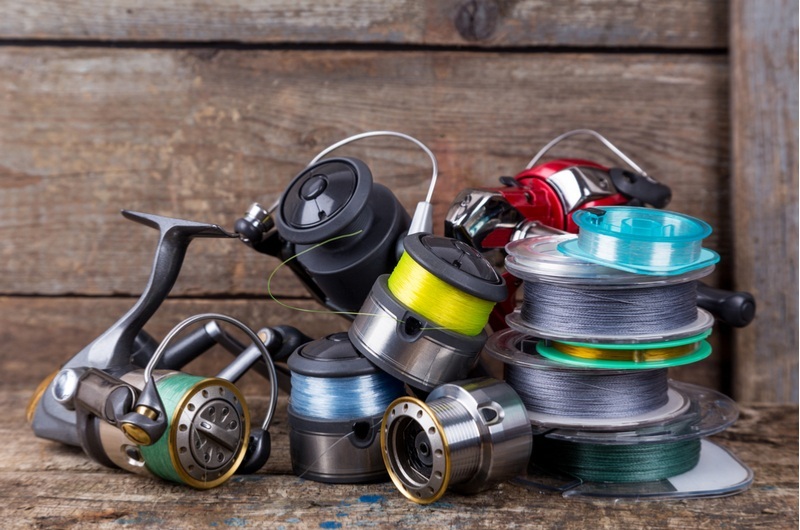 Fishing reels may look basic at first glance. After all, it doesn't look like they're doing too much work in the fishing process, but they just help out more – terrible misconception! The truth is that finding the best fishing reels can actually enhance your fishing experience and take it to a new level. The more you research this market, the more surprised you will be. 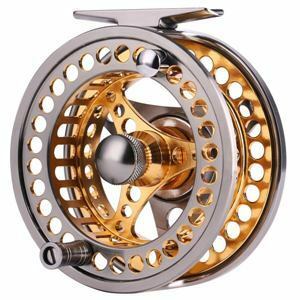 Not only will you find superior and premium fishing reels from reputable manufacturers, but you'll also find a series of categories based on small criteria. So, what are the best fishing reels in each segment? Here we will be breaking down the models into a few categories that they are best in. 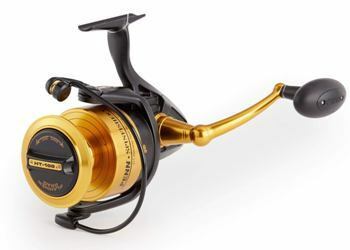 Pflueger's best spinning reel will stand up in the crowd with its stunning construction. It's certainly built to last, as it features a comprehensive system based on 10 ball bearings. They're made from stainless steel and can successfully face corrosion. The rest of the reel is not to be overlooked either. It comes with a magnesium body, as well as a strong rotor. Despite the strength of magnesium, the reel is extremely lightweight and won't add too much weight to your spinning rod. The braid ready spool ensures that you can tie the braid directly to spool – no experience needed. Also, you'll benefit from a sealed carbon drag. The system is sealed, so the lubricant inside will never leak. In other words, the mechanism is lubricated and smooth round the clock, regardless of how often you go fishing. Finally, you'll be pleasantly surprised by the handle too. It's made of carbon. It's about 21% lighter than aluminum, yet extremely sturdy and durable. All in all, the fishing reel is available in a few different styles, but with small differences from one to another. Okuma doesn't fool around when it comes to quality. This model can easily qualify as the best spinning reel under $100 and for some good reasons. It's hard to describe its construction because it's practically a hybrid. It has an unusual spool design, which also features an aluminum lip and an arbor based on graphite. Such a combo is not too popular in this segment, yet it seems to work quite well. The DFD (Dual Force Drag) system is designed with precision in mind. It covers both parts of the spool for an obvious reason – increasing the high-end drag tension. It's also responsible for the smooth operation, not to mention the efficiency. The reel features 10 bearings. They're all made from stainless steel – 9BB and 1RB. Stainless steel will keep them working for ages. Despite adding to the price, this is one of the features that add to the overall value for money. Safety is quite important when you are fishing, but you also have to be prompt about it. The anti-reverse roller bearing is quick and uses an anti-reverse motion. Featuring some professional features at an affordable price, this model is among Penn's best fishing reels for the money. It will first surprise you with its diversity. Basically, you'll find it in over 10 different configurations and styles. Weighing just over 14 ounces, it is watertight and can easily perform in all kinds of environments. Pretty much everything in its composition is metallic, from the actual body and side plate to the rotor. The bail wire is made from industrial aluminum for durability. The ball bearings are made from stainless steel and they're shielded. Other than that, the system features instant anti-reverse bearing as well. The dragging system leaves no room for mistakes. It's extremely robust, but that doesn't make it stiff or hard to use. In fact, it's silky smooth and allows a perfect drag. As for the friction trip ramp, it can successfully prevent premature bail trip when casting. Known as one of the best fishing reels available on the market, this model comes with a top-notch spool that doesn't require any backing. It is braided ready and comes with visible markers at 1/3, 2/3 and full. 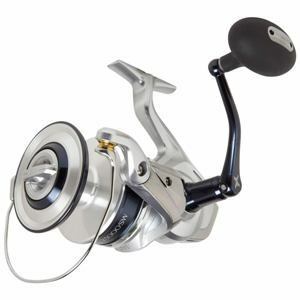 Featuring some technologies that you can normally find in reels costing twice its price, this is probably the best saltwater spinning reel under $200 from Shimano. The instant dragging system is one of them and allows you to switch between a fight drag and a free spool within a second only. Just drag the lever and you're ready. The Super Stopper II technology clears the back play, so the reel is stable and accurate. Any kind of movement in the kindle will be easily eliminated. The feature is excellent in anti-reverse. As for the Aero Wrap II technology, it's mixed with the slow oscillation gear mechanism designed from Shimano. The line lay leaves no room for mistakes. The AR-C spool lets the line out with close to no friction. You'll also love the slow oscillation – a must for long casting. Although it features lots of plastic in its composition, the best budget fishing reel from Shimano is actually a sturdy and durable piece. It's made from plastic composite XT 7. The handle is made from CNC machined aluminum and ensures a good grip. 13 Fishing's model is one of the best fishing reels for saltwater, mostly because it's made with an ocean armor 2 saltwater protection procedure. In other words, you can use it in saltwater without worrying about the effects over its performance. The maximum drag goes up to just over 30 pounds. It's quite enough for the most common types of fish. Experienced fishermen can go a bit over 30 pounds, yet the manufacturer doesn't really recommend it. The knobs represent some of the most intriguing things. Forget about metallic or plastic components, but opt for the vintage look of cork knobs. They represent a concept that lots of buyers actually love. Cork knobs can also be quite durable with the right maintenance. Other than that, you have a dead stop anti-reverse system, as well as the innovative H.A.M. technology for the gearing system. The Battle II model from Penn could be the best saltwater spinning reel under $100, yet it depends on the configuration you choose. It comes in eight configurations and they're priced differently based on the size. The 8000 style is the best rated one though. The reel is designed with ambitious fishermen in mind. It's built from durable materials and it's mostly recommended for big saltwater fish. You'll benefit from an HT 100 carbon fiber drag mechanism. It's directly responsible for the power, yet it won't affect the smooth drag. The body is entirely metallic, as well as the side plate and the rotor. The bail wire is made from industrial aluminum for durability and strength. Ball bearings are made from stainless steel. The reel has five bearings and they're well sealed. Other technologies include instant anti-reverse bearing, the braid ready profile and capacity markers. There are three visible markers – 1/3, 2/3 and full. As for the spool, it doesn't require any backing. The gear ratio is set at 5.3:1. 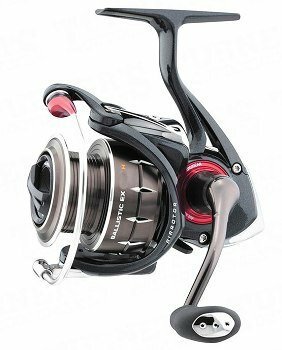 Weighing just over 6 ounces, Redington's reel is one of the lightest reels in this segment – it weighs up to two times less than other similar units. Despite the low weight, it's quite sturdy and will impress you with its strength. Unlike other similar models, it's not made from multiple parts put together. Instead, it's a unique die cast construction. It's solid and can literally last forever if used responsibly. As for its size, it measures 5x5x3 inches – a standard size in this range. The spool is easy to change within a second. Moreover, you'll be impressed by the large arbor design. It makes things easier, but also smoother by reducing the line memory. It's also worth mentioning that the reel is spring loaded and features a compact clicker drag system. 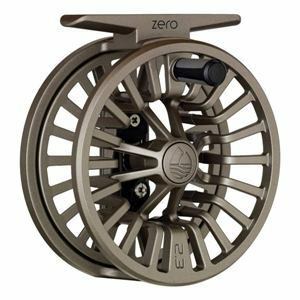 Overall, it's a simplistic reel with no fancy bells and whistles, but Redington has managed to take this simplicity to a professional level. Coming in multiple color combinations and featuring a three year warranty, Piscifun's top reel is designed for left hand retrieve only. It's set like that at the factory, during the manufacturing process. Luckily, you can convert it to a right hand retrieve, yet you'll have to contact the manufacturer for professional guidance. The drag is extremely smooth and won't bring in any framing issues. You have a stainless steel mechanism boosted by a solid one way clutch bearing. The drag is almost instant and you can feel the engagement as soon as you need it. You'll love its accuracy as well. 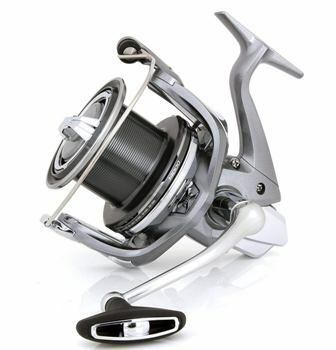 The reel is CNC machined and made from 6061 T6 aluminum alloy. It's durable and can take a good beating without showing any signs of weakness. It's quite lightweight due to the large CNC hollow design. Also, the middle arbor design pushes the line memory to a minimum rating, compatible with almost any flying rods out there. Given the treatments the reel goes through before shipping, it will show off in terms of corrosion resistance. It is hard anodized, cold forged and tempered. 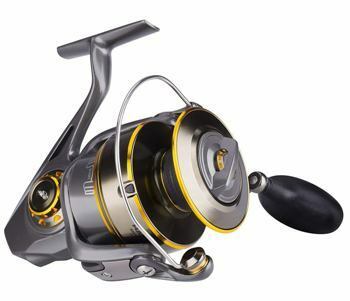 Backed by a five year warranty and standing up in the crowd with its looks, this reel goes further than that and can take your experience to a brand new level. It's relatively new on the market and is CNC machined. It's made from 6061 T6 aluminum alloy. It's corrosion resistant in pretty much any environment, so its durability is flawless. It's quite simplistic. It features 2+1 ball bearings, while the gear ratio is set at 1:1. The one way roller bearing pushes the drag into one direction only. The arbor is massive and visible, which can only mean one thing – exceptional smoothness. The drag engagement is instant, but also accurate and silent. You can adjust the spool by loosening or tightening it due to the knurled metal screw caps. Also, you can adjust the hand orientation from left to right and vice versa. As for its resistance to abrasion, the reel is hard anodized, so its surface will last for ages. Moreover, it's cold forged and tempered for a rigid profile and strength. 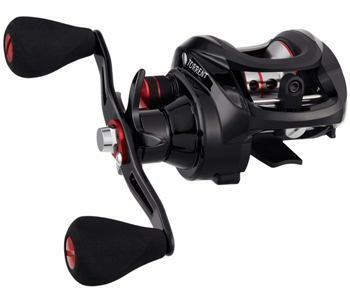 Its versatility makes it one of the best fishing reels, yet it will mostly work wonders in freshwater. As for the actual fish, it's recommended for trout, salmon and grayling, among many others. 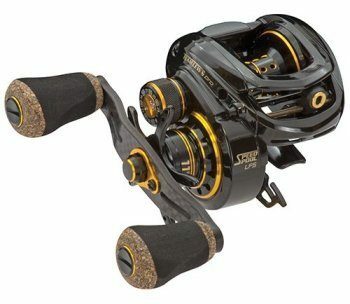 Lew's sure knows how to impress its customers with performance and this reel makes no exception either. It's extremely common among professionals and it's easy to tell why. However, it's just as suitable for newbies who want a solid experience from the beginning. Despite the common multiple piece design that you'll find in this segment, Lew's has decided to opt for something different. The frame is made from one piece only – less parts, less potential damage in the future. It's a magnesium model that's both sturdy and lightweight. The side plates are not to be overlooked either. They're made from C45 carbon. The whole thing weighs 5.5 ounces. It's lightweight, but the manufacturer hasn't compromised on performance. It comes with 10+1 bearings, a line capacity of 120/12 and a gear ratio set at 6.8:1. Apart from performance, this reel will also look good on your rod. This model comes with a double anodized gold detail finish. It's not just paint, so it'll pass the test of time. 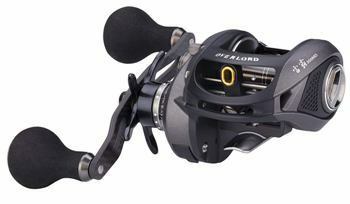 Shimano has never compromised performance or quality standards over so-called innovative bells and whistles. 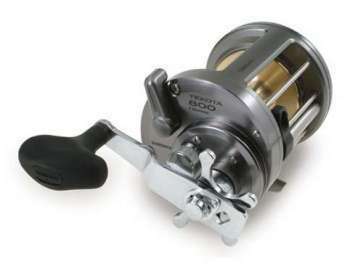 The Tekota 800 can easily be one of the top reels for quite a few reasons. It comes with a solid construction based on die cast aluminum for the frame, as well as an aluminum braced graphite side plate. It has a manual clutch lever for instant results, as well as a professional handle grip. You'll no longer feel like struggling, but you'll experience a simple operation. The oversized knob is just as handy in the process. Curious about the line capacity? You got 25/530, 30/450 and 40/370. The maximum drag is set at 24 pounds – more than enough for most types of fish. It comes with 3 ball bearings and one roller bearing. The gear ratio is 4.2:1, while the total weight goes up to 31 ounces. Sure, it's heavier than other similar units, but quality materials are never lightweight. 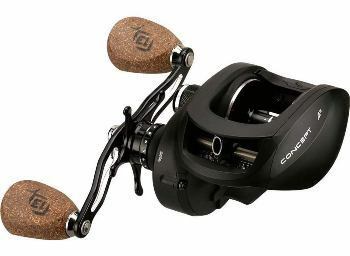 Featuring 10+1 bearings for more stability and durability, the CS10 fishing reel is designed to support both beginners and more experienced fishermen. It comes with a 2x machined aluminum spool – 1x shallow and 1x deep. Carbon seems to be the preferred material for the manufacturer. The side plate and rotor are made from carbon composite, as well as the rotor. Moreover, the reel is based on a carbon matrix dragging system. As for the spool, it's made from machined aluminum. The handle is comfortable and easy to use. It's slightly oversized, so you can use your whole hand, rather than just a few fingers. It's an ergonomically shaped EVA handle that won't slip out of your hand, regardless of how powerful the fish is. Apart from the spool, the handle and bail arm are also based on machined aluminum. Plus, the bail arm consists of a solid one piece system. The magnesium frame feels lightweight, yet it’s sturdy and durable. When it comes to the maximum drag, it goes around 20 pounds. 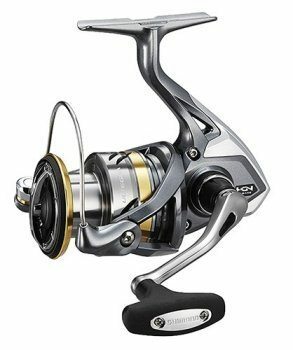 Coming in more sizes and with different price tags for each type, Shimano's Saragosa SW reel could be the best saltwater spinning reel. It comes with two major technologies – X-Ship and X-Tough Drag. They're self-explanatory. The X-Tough Drag will bring in more than what you expect, as the drag is not just smooth and easy, but also powerful. 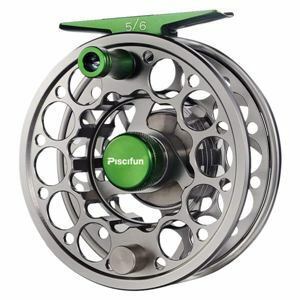 The reel comes with seven bearings – a 6+1 system. It's somewhere in the middle range. Sure, there are reels with more bearings, but it doesn't necessarily mean they're better. The maximum drag depends on the size you choose. For the smallest size, you can count on 22 pounds. For the largest size, the dragging power is double – 44 pounds. It's worth noting the CF aluminum cold forge spool, which is built to be sturdy, but also treated to face all kinds of conditions. You can also count on the innovative Hagane body technology, as well as the Super Stopper II system. The handle is ergonomic and built with comfort in mind. Besides, you'll benefit from the anti-reverse technology too. 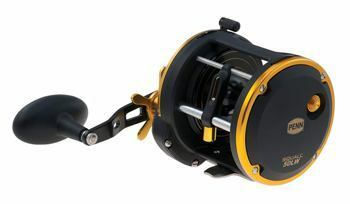 Coming in seven different sizes (3,000 to 9,000) and two colors (gold surf and red bass), this saltwater fishing reel is less likely to disappoint you. It's rated to resist corrosion, but also to face some heavy duty operations without asking for too much effort. 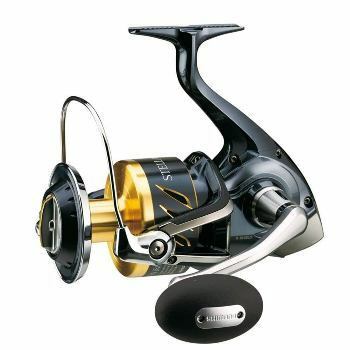 Known as one of the best fishing reels in this segment, it comes with six ball bearings. They're made from stainless steel. Other than that, the reel has infinite anti-reverse capabilities. The movement is almost instant. Also, the ball bearings are properly sealed for durability. The seal guarantees for extra smoothness and a top-notch resistance to corrosion, especially on saltwater. Apart from the sealing procedure, the Dura-Drag mechanism adds to the smoothness as well. It can easily resist the invasive profile of sand as well. The maximum drag is impressive – 61.7 pounds for the biggest size. You also have CH-50 drag washers and carbon fiber parts. It's ambidextrous and can be used for both hands. The body is made from one piece only. There are less parts in its composition, so it's less likely to break down on you. Burning Shark sure knows what quality means. Whether it comes to its new trolling reel or customer service, it can easily make customers happy. The trolling reel is designed to perform at the highest standards. It also comes with a double dog ratchet mechanism, which won't let the handle reverse, regardless of how aggressive the fish is. Each part benefits from proper attention. The spool is made from machined aluminum. On the other hand, the gears are made from stainless steel. Burning Shark made them more durable this way. The handle is spherical and ergonomically built. Your hand will mold like a glove around it. Unlike other similar reels, this one is not noisy at all. It provides comfortable cranking and a good line release lever. The frame is advertised to be corrosion resistant. All in all, the whole thing weighs around 23 ounces. As for the gear ratio, you can count on 4.1:1. The maximum drag is set at 40 pounds – slightly above average. Apart from the stunning performance, users will also appreciate its sleek design and looks. Haibo's baitcasting reels are mostly recommended for heavy and large species, such as northern pike, largemouth bass or muskellunge, among many others. It's extremely powerful and has a maximum drag of just over 18 pounds. Despite its power, it's lightweight and barely weighs 8.5 ounces – one of the lightest reels in this range. 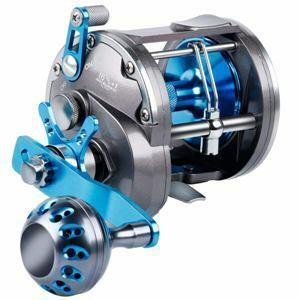 It qualifies as one of the top reels due to its construction – eight sealed stainless steel bearings, as well as resistance to corrosion. The anti-reverse system works flawlessly. It's worth noting that you'll have to choose between right and left handed reels, as you can't adjust them. The dragging system is based on the new ML10 adjustable magnetic linear braking mechanism. It's smooth, but also easy to use against large baits. When it comes to the gear ratio, you have 5.4:1. The handle, as well as other parts, is made from carbon. If you are looking for the best casting rod for this reel, check this article out. Daiwa is better known for versatility. Its new reel makes no exception either. It will support you regardless of where you fish. You can go for saltwater conditions or freshwater conditions – the reel will work flawlessly. How? Simple! The manufacturer has brought in a mag-sealing technology that makes its reels more appealing to all categories of features. The unit is quite compact, yet it's sturdy. It comes with a Zaion body – certainly an innovation in this field. It's durable and solid. It also features a hard cover. The cover works as a sealant as well. Overall, the reel is corrosion proof. Other features worth being mentioned include the drag, which is also sealed. The rotor is based on air, while the drive carries the Digigear quality standards. The air rotor improves the sensitivity and reduces the overall weight. The bearing system is based on 10 parts – 1 CRBB, 1 RB and 8 BB. 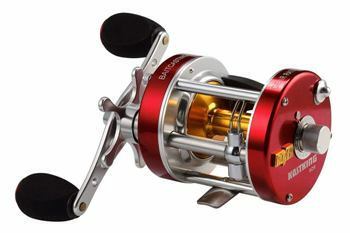 Last, but not least, Daiwa's fishing reel is waterproof and comes with an ABS aluminum spool. 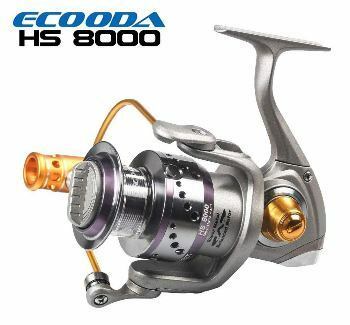 Coming in multiple sizes and two different colors, Ecooda's reel is strong and sturdy. Most of its parts are metallic. You have a strong aluminum alloy body, as well as a similar rotor. The spool structure is different from other manufacturers, as Ecooda has patented its own ideas. The body is waterproof and can successfully face saltwater corrosion. The anti-reverse system is based on a traditional one way clutch. It's instant, so your fish won't be able to get away. The maximum drag is quite decent too at 44 pounds – more than the average drag in this segment. The titanium casting guide won't let you know, but it will surprise you with its durability. The gear is made from stainless steel, as well as the lever, slider and shaft. The same goes for the ball bearings and roller bearing. The gear ratio is set at 4.9:1. The reel is ideal for ambidextrous uses as it's interchangeable. Plus, you'll get a special package for protection and storage. Abu Garcia's fishing reel is specifically designed for catfish fishing. It features a round baitcast reel designed with such activities in mind. It has a sleek and good looking design, so it will look good on your rod. It only has three stainless steel ball bearings, as well as one roller bearing. Despite this construction, it's engineered to be smoother than its competition in this segment. Also, it comes with a carbon matrix dragging system that adds to both smoothness and consistency. The cranking handles are bent and extended, while the knob feels sturdy and powerful. It's excellent for hard pulling fish. 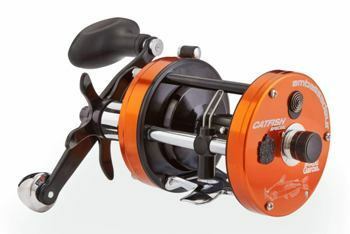 Despite the solid design, it weighs under 15 ounces, so it's one of the lightest fishing reels for catfish. As if all these were not enough, the centrifugal brake is based on six pins and feels consistent. The cast is precise and will not leave room for mistakes. 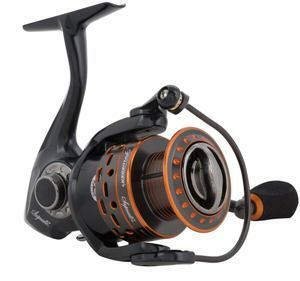 Available in a plethora of color combinations, KastKing unit is one of the best fishing reels for more reasons. Pretty much everything about it is improved from previous reels. The round baitcasting design makes it obvious – it's ideal for catfish. It's also built with reinforced hard anodized aluminum side plates and spool. The gears are made from brass, while the level wind is based on the alloy. All components can successfully face corrosion. The power is obvious as you start using the reel. It offers 20 pounds of smooth drag. The EVA grips prevent slipping, so they'll also reduce fatigue. Its smoothness is given by the bearing mechanism. It depends on the size you order. You'll get 6+1 or 4+1 ball bearings. They're shielded, sealed and made from stainless steel. Finally, the reel is so versatile that you can use it for freshwater and saltwater, as well as bottom fishing or trolling. Anglers will love its uses, regardless of their skill level. 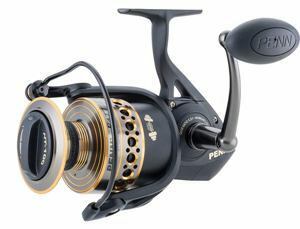 The full metallic body makes Penn's spinning reel one of the most appreciated models on the market. The same rule applies to its side plates. The main role of such a system is to keep everything aligned and in place. Whether you deal with a light or a heavy load, your reel is less likely to let you down. The anti-reverse system works flawlessly. It kicks in automatically. It's an instant result. Your fish will never be able to get away, unless you actually throw the rod in the water and give up. The reel comes in three sizes and each of them has different specifications. It's also available in three color combinations. The handle is slightly unusual – long and bulky. It's extremely comfortable to use though. It takes over most of the power from your arm. It's made from anodized aluminum. As for the knob, it feels soft and comfortable. It's also worth mentioning the main shaft, which is made from stainless steel. Also, the rotor is techno-balanced for a smooth operation. This reel is designed to be powerful. It's based on an advanced three washer system to boost its power. When mixed with the 18 pound carbon fiber drag, you know you can't go wrong. You can easily target heavy fish and even exceed the limit a bit if you're an experienced angler. The reel is built with industrial uses in mind, which means it's strong and climate resistant. It comes with Japanese Hami cut 3604 brass gears. These are by far the leading standards on the market these days, so you can't get any better. In terms of performance, you can count on a high speed 7.1:1 line. Despite the strength associated with this reel, it's silent compared to others. 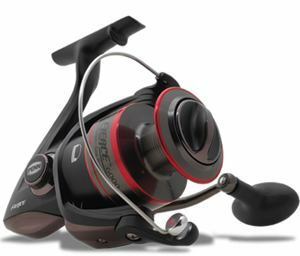 While maintenance is often overlooked in fishing reels, this model will make it more convenient for you. The side plate oil port has a unique design for easier maintenance and a longer lifespan. Penn is known for creating some of the best fish reels and this model makes no exception either. It comes with a 4.0:1 ratio and a solid bearing system – RH, 2 BB and 1 RB. The spool is based on aluminum – durable, yet lightweight. The frame is made from graphite. It's certainly an unusual construction in this segment. Graphite is solid and won't add too much weight, so why not? The same goes for the side plates. All in all, the reel weighs just under 25 ounces. The main gear is made from machined bronze alloy. That's what adds to its weight. It's machined and built to be strong. When it comes to smoothness, the stainless steel pinion gear makes using the reel a breeze. The anti-reverse couldn't miss from a Penn reel, while the drag washers stay cool and strong even when you handle heavy fish. The Ultegra FB model from Shimano comes with a stunning 6.0:1 gear ratio and a series of different configurations. It's up to you to choose the right one based on what you normally fish. The line retrieves per crank goes up to 35 inches. The reel is based on five ball bearings and a roller bearing. It's a classic system. The bearings are professionally sealed, so they won't give up on you. The system can keep running for ages if properly maintained. The maximum dragging force goes up to 20 pounds. It may not be the most powerful reel on the market, but it can certainly help against heavy fish. Despite its power, it's quite lightweight. It only weighs 8.5 ounces. 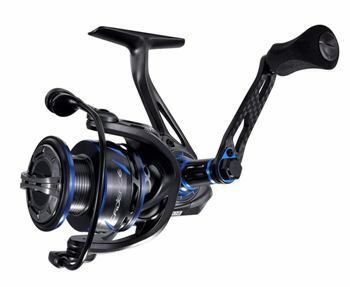 In terms of technologies, it brings in some of the systems used for more advanced reels from Shimano – the G-Free body, the cold forged Hagane gear, the X-Ship double bearing pinion support mechanism and the Aero Wrap Oscillation technology. The Coreprotect feature keeps the system waterproof. Shimano Stella SWB can certainly draw some attention. Not only is it the most expensive reel on the market, but it's also built as an investment. It's not just a good reel, but a solution that will work forever if properly taken care of. The gear ratio is 5.7:1. It's a spinning reel designed for high end offshore saltwater. It comes in multiple sizes. Obviously, each size has slightly different characteristics, as well as a different prince. Make this choice based on what you normally fish. The line retrieve per crank is set at 38 inches. As for the dragging force, it goes above the average – 29 pounds. Quality is never lightweight, so this unit is obviously heavier than other similar models – 15.3 ounces. The ball bearing system is based on 14 S ARB and a roller bearing. 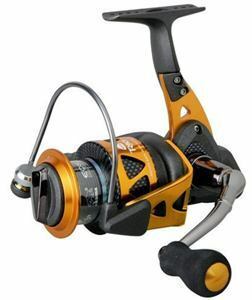 As a short final conclusion, these are the best fishing reels in the most common categories. Obviously, what works for some people won't work for everyone else. It's your responsibility to choose the optimal reel for your expectations and experience. One thing is for sure though – once you assess your necessities, you just can't go wrong with these models.